Easter is just around the corner, which means chocolate, chocolate and then more chocolate. But if you're in the vicinity of Westfield Doncaster on Wednesday, April 17, it means free chocolate first. 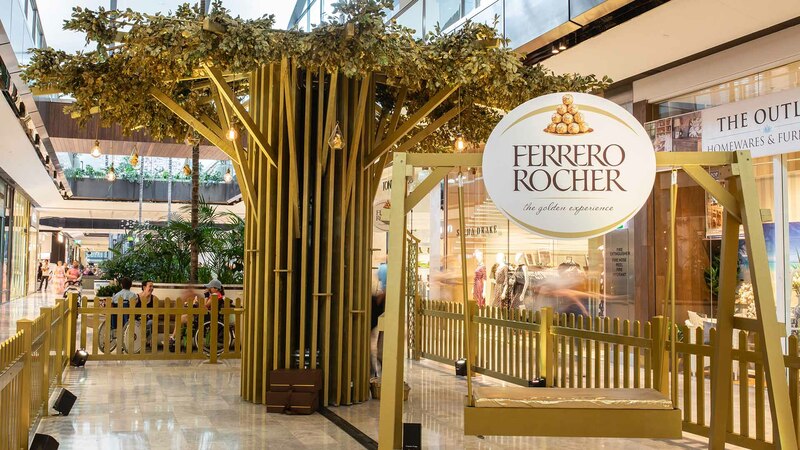 Ferrero Rocher has unleashed its new Easter chocolate into the world, and it's celebrating in everyone's favourite way: with giveaways, obviously. Head along between 9am–5.30pm and look for the three-metre-tall golden hazelnut tree — which won't be hard to spot. As well as nabbing a free taste of the new choccie, you'll also be able to swing on the golden swing. Why? Why not, we guess. As for the sweet treat itself, it's called the Golden Squirrel — hence the huge, shiny tree — and it's squirrel-shaped, and made from Ferrero Rocher's blend of milk chocolate and hazelnut. Yes, if you're allergic to nuts, this means this freebie isn't for you. If you're not, scamper along and get munching.